This Is What We’re all About–Helping Families Grow Stronger. This entry was posted on April 23, 2015 by sharonwynn, in Uncategorized. Bookmark the permalink. Suffering the loss of child has a lasting affect on a family. Zack White, and Spring and Aden Rhinehart, one of our participating families on our parent child project to Saint George Island, desperately needed the small amount of time we gave them to restrengthen the bonds of their family after a tragic loss. 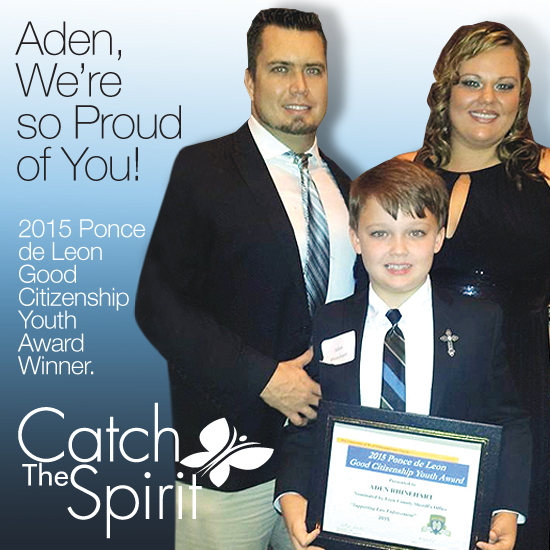 We are proud to say that the family is still growing stronger and are proud to announce that their son, Aden, was nominated by the Leon County Sheriff’s Department and awarded the “2015 Ponce de Leon Good Citizenship Youth Award”. The award was given to him specifically for his bravery and courage, while trying to save his little brother Mason’s life and essentially saving his own! 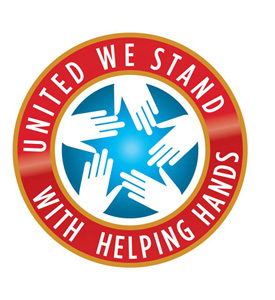 As a member of our family, it’s something we are proud to share too. The Spirit of a Child Foundation is a growing voice for our most vulnerable citizens — children. We strongly believe that children are life’s most precious gifts and that their childhood should be filled with joy, laughter, and a future filled with possibilities. The root to a healthy child is to nurture their inner spirit with time, presence, gentle encouragement, and plenty of love. Through our funding, programs and partnerships, we focus on issues not currently or adequately addressed by government programs. valuable knowledge for parents to love their children and help them understand the importance of developing a strong family unit. Tools that give parents the ability to articulate and create a nurturing bond between themselves and their children. One that ultimately will last a lifetime.